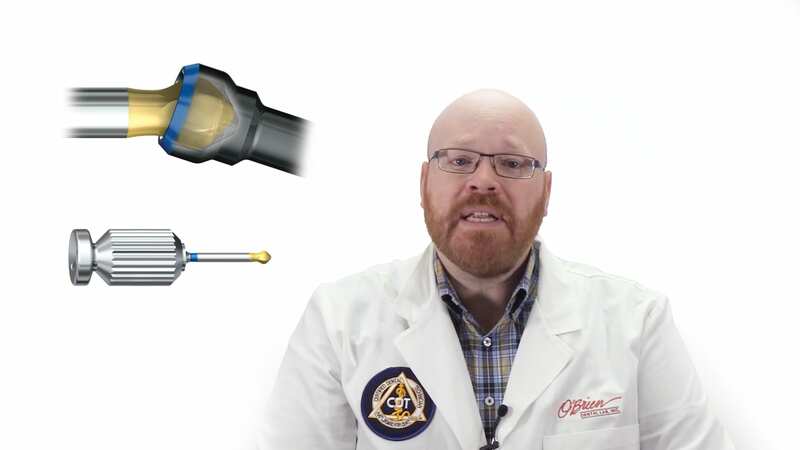 Implant specialist and CDT Alex Rugh discusses Nobel Biocare’s Angled Screw Channel abutment which makes it possible to fabricate screw-retained restorations, even when the angle of the implant normally wouldn’t allow it. Alex explains how they work, what they’re used for, and some of their advantages. Nobel ASC abutments are made of milled zirconia and are mechanically attached to a titanium base. They use a special screw that can be accessed from an angle which allows the screw access channel to be adjusted by up to 25°. Nobel ASC abutments can be used for single and splinted screw retained restorations in both the anterior and posterior region.